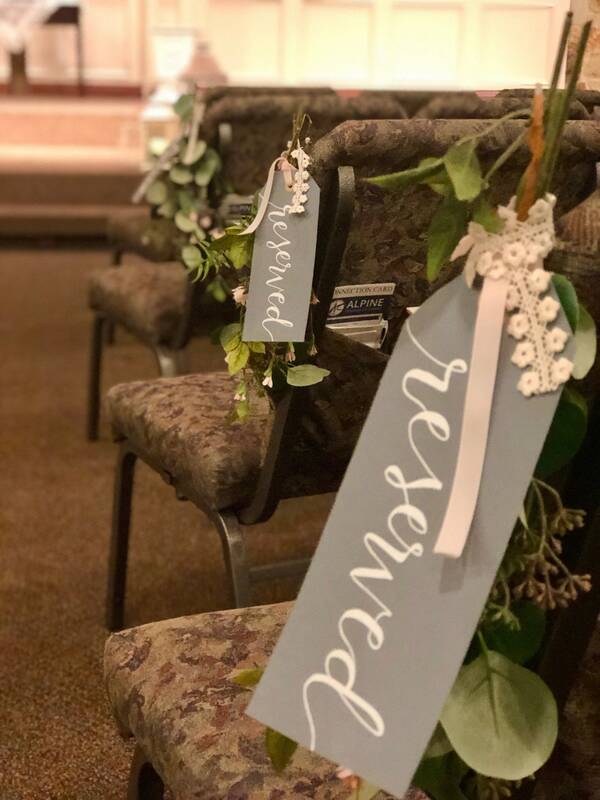 These custom tags will be great for reserving those special seats at your wedding for family and special friends, or as a large tag for that special gift to a loved one or friend. 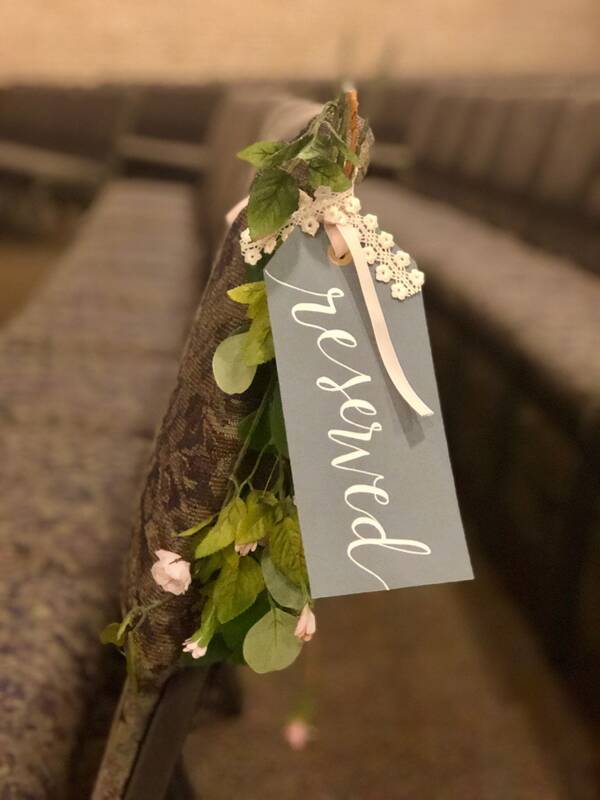 Add an extra special touch to your bridal gifts, add a touch of elegance to your church decor, or to any gift you are giving to someone special. 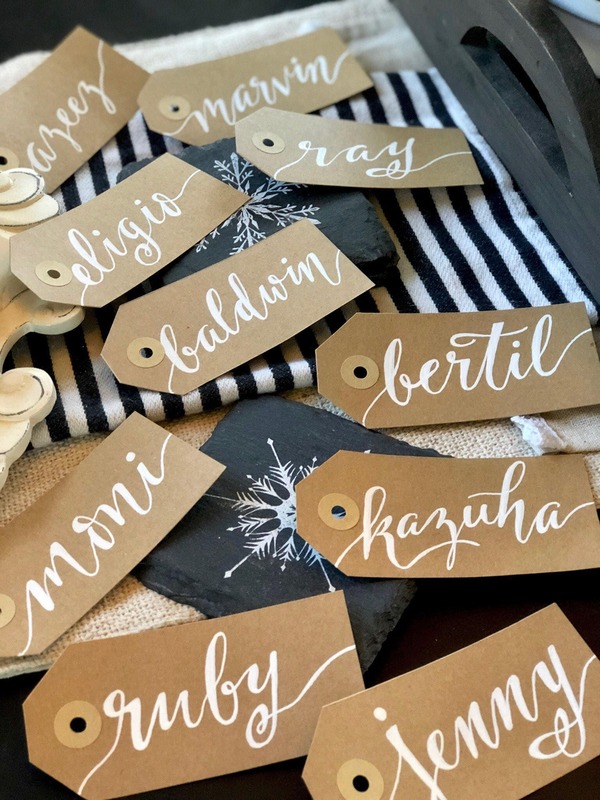 Great for Christmas tags or Birthday gift tags also! 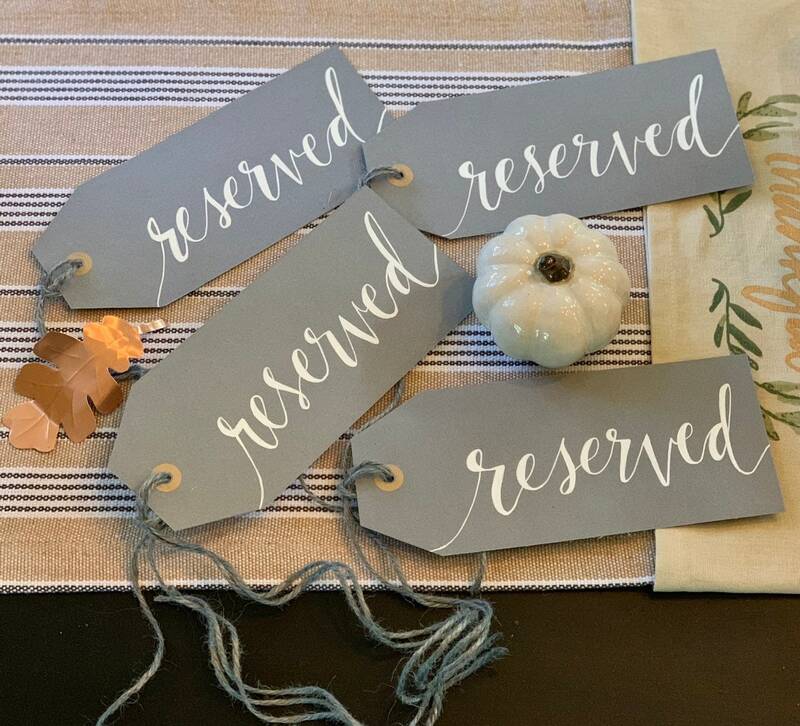 These Custom Kraft Large Tags measure 3.5” x 8" and are designed with a kraft reinforcement and twine string attached. 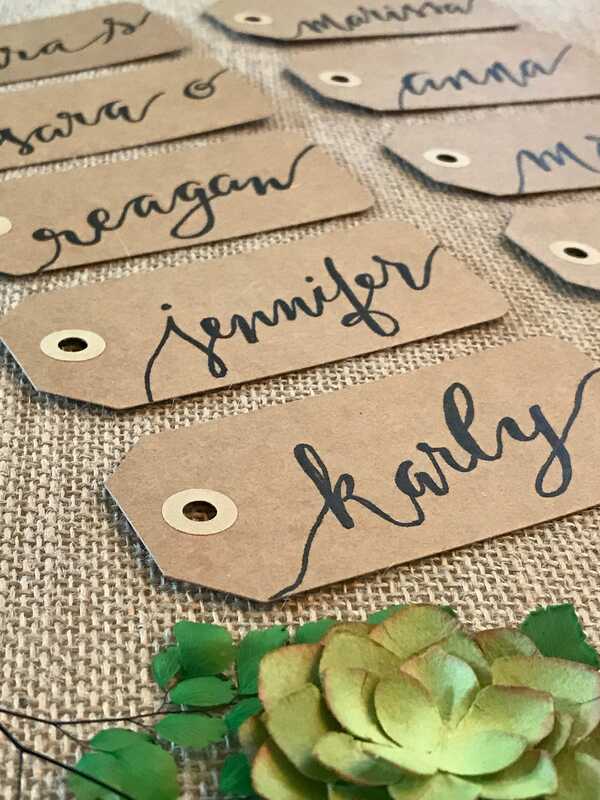 The tags are perfect to personalize and can have bridal party names or whatever message you prefer. Great as "Thank You" tags also. 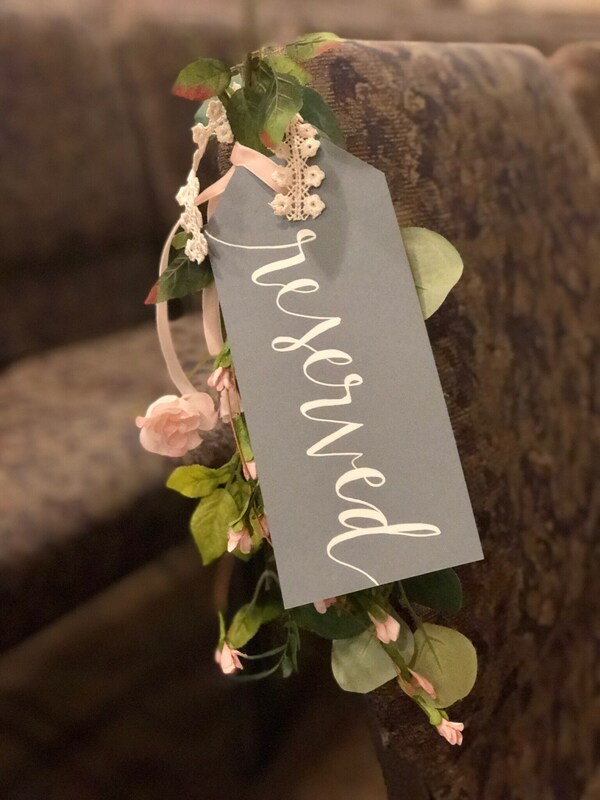 Message me with what wording you would like on each tag. 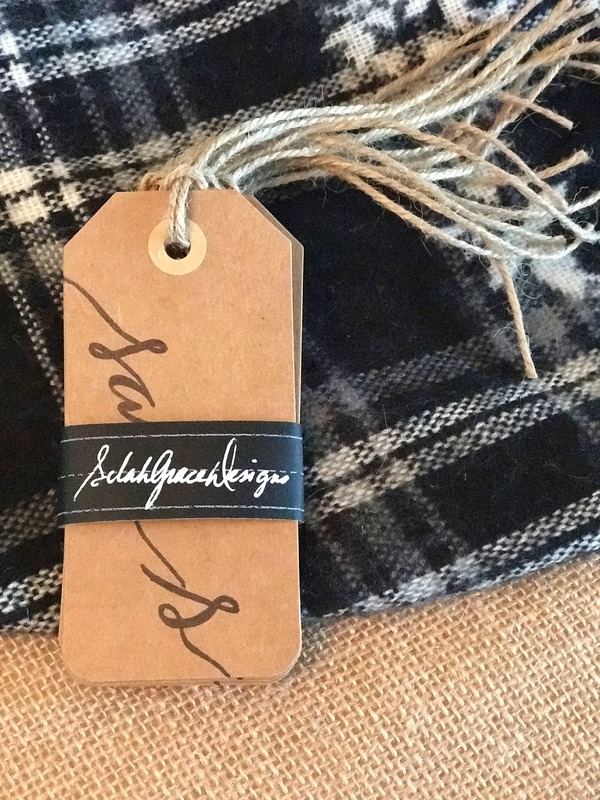 Each custom tag comes with a jute string attached. 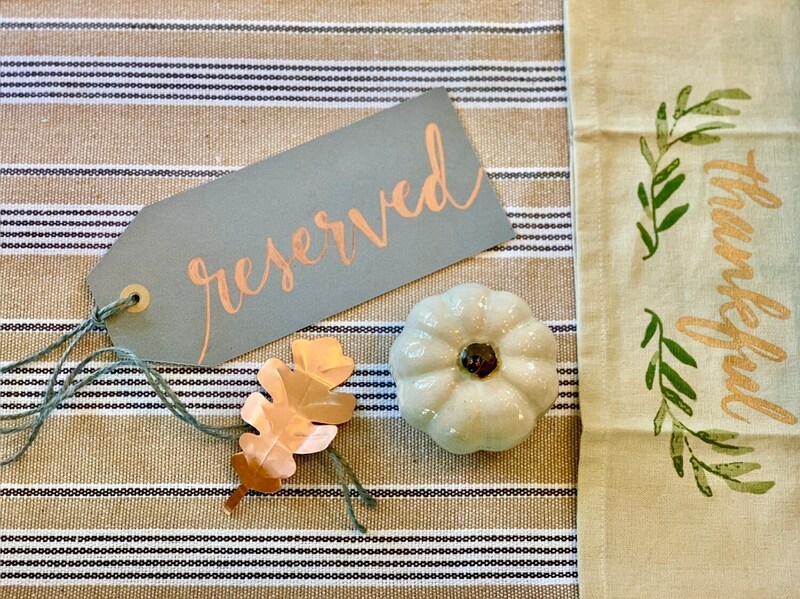 Additional floral/ribbon decor in photos within the listing are not included. 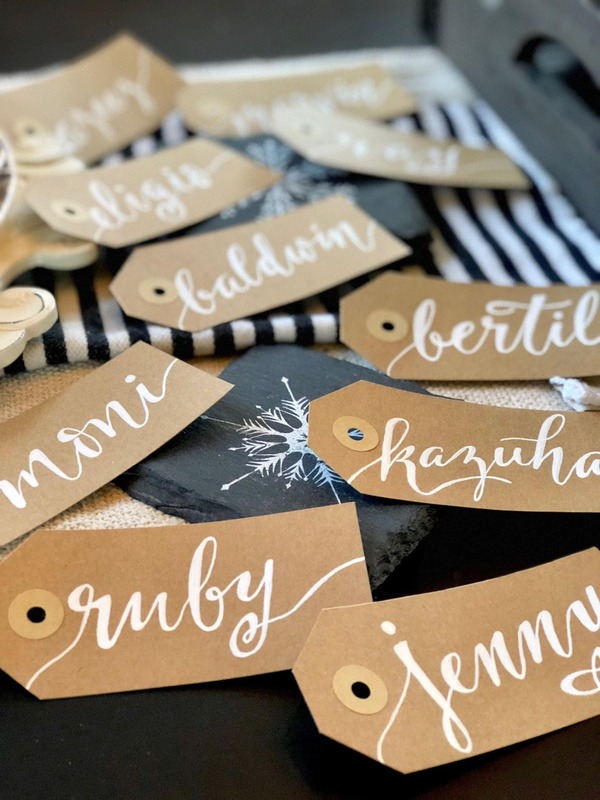 PLEASE NOTE: Any slight variation in handwriting style is natural due to the custom handwritten calligraphy on each tag. SHIPPING: - Tags will be shipped in a clear cellophane sleeve between thick cardstock to protect the card as it travels to you. 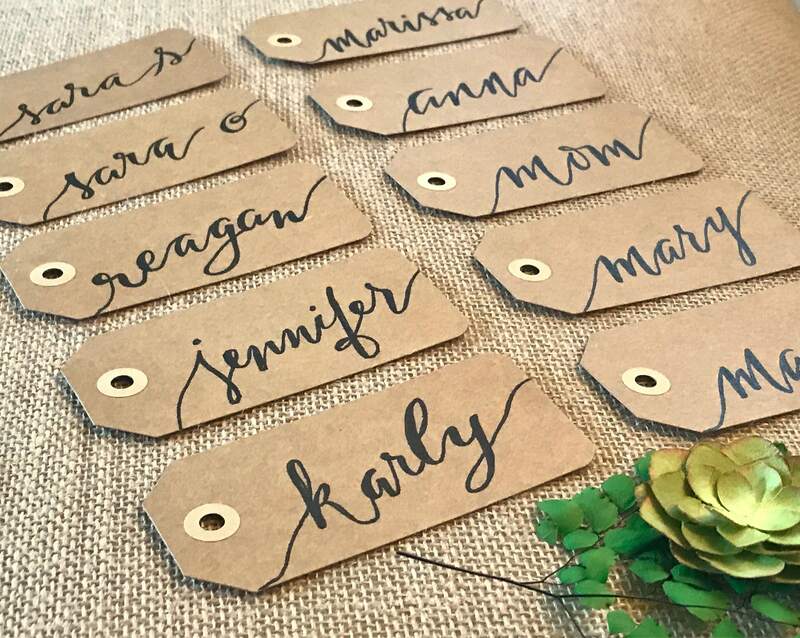 I would love to design your handwritten calligraphy gift tags for your special occasion.